Q. I am having a new workshop built. The dimensions are 30' x 25', l am having the foundation base dug to 8"
Down the center, l will need to cut a groove of 12" x 2" deep to accommodate the railway track. 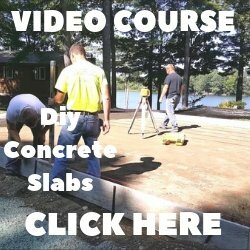 Is 8" of concrete too much or will 6" do? 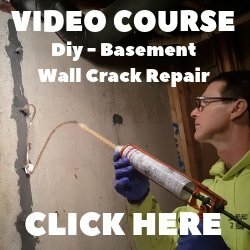 Do l need a reinforcement in the concrete? How far apart should the expansion joints be? I really need some good advice! A. Six inches of 4000 psi concrete will be enough as long as you have a good 18" compacted gravel sub-base. I would tie a mat of 1/2" rebar 18" on center each way for reinforcement and use fibermesh in the concrete as well. That may be a little over-kill but for the money, well worth it. The expansion or contraction joints should be cut as close to 10' x 8' squares as you can get them. Make sure the concrete isn't poured too "wet" or loose. A 5 to 6 inch slump would be easy enough to work with without compromising strength. After the concrete is troweled and sawed, you should apply a concrete curing & sealing compound to cure the concrete.